Back Row (L-R): Alan Greenough, ? , John Lathom, Richard Taylor, Peter Lowe, Derrick Pinnel, John Lowe, ? , Gilbert Cross, Geoff Travis, Brian Calland, Keith Waterhouse. Third Row: Nora Sutcliffe, ? , ? , Gwen Dickin, Eunice Orr, Muriel Taylor, Barbara Daniels, Vera Houghton, ? , ? , Pat Rigby, Mavis Lyon, Zena Maxwell. 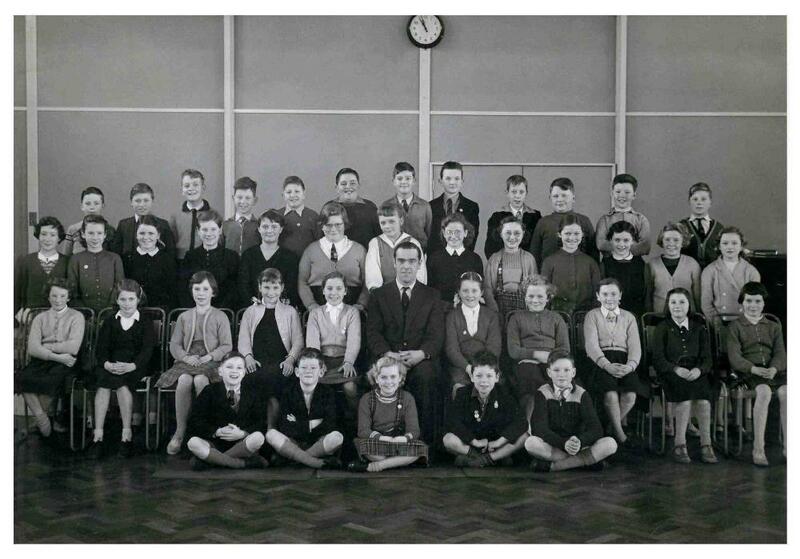 Second Row: Mavis ?, Doreen ?, Sandra ?, Denise ?, Lorna ?, Mr.Dutton, ? , Irene Kitley, Susan Ball, Margaret Unwin, Jane Fenwick. Front Row: Geoff Wilton, Raymond Sutton, Christine Corless, John(Nipper)Wayne, David Tilsley.